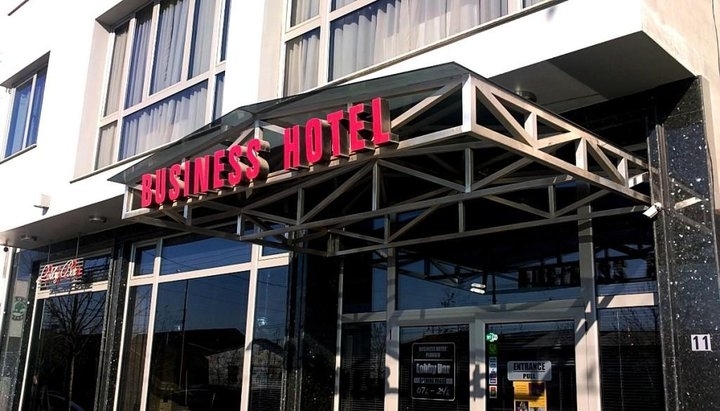 Location: Business Hotel Plovdiv is one of the newest 3* hotels in Plovdiv. It is situated in the city center, close to the main commercial street, the central park, the charming Old Town, the International Plovdiv Fair and the cultural and historical sites of Plovdiv. Accommodation: the hotel offers 16 double rooms, 2 triples, 2 apartments and 1 studio. All premises are equipped with many useful business facilities as high-speed cable internet; every room has its own IP address and all the rooms are connected in a network; direct digital telephone line in every room, satellite telephone connection; LCD cable TV, office table. There is also A/C, mini-bar, bathroom / shower, hairdryers, hydro massage tubs in the studio and in the apartments. Each room or apartment can be rent as office as well. In the hotel: lobby bar with 35 seats; breakfast in the lobby, outdoor café-garden with 12 seats; fully equipped conference hall for up to 60 people (120 sq. m.), secure parking lots, high-speed wireless internet in the lobby bar and the conference hall; high-speed cable internet in the rooms, safety deposit boxes at reception, currency exchange, washing and ironing service.